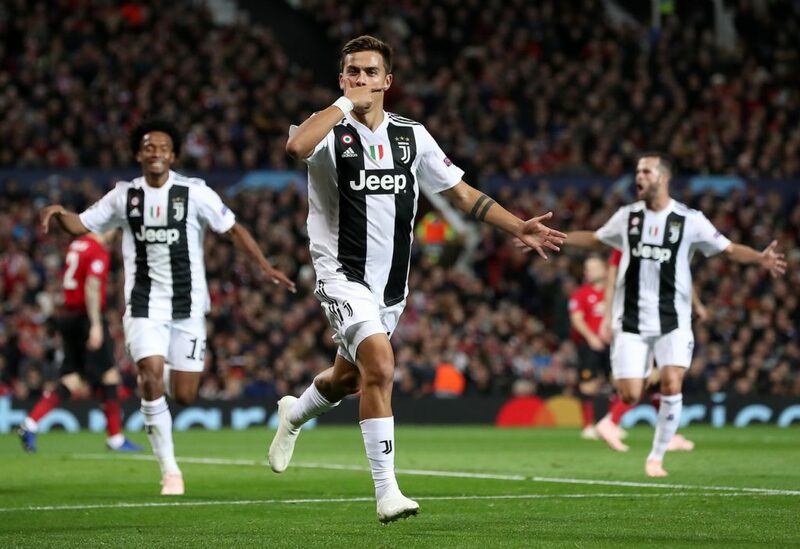 Ajax stunned Juventus to reach the semi-finals of the Champions League with a 2-1 comeback win in Turin. 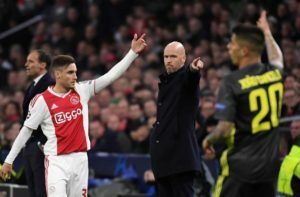 Ajax boss Erik ten Hag has told his players to be 'effective' in Juventus' territory when the pair meet in the Champions League. 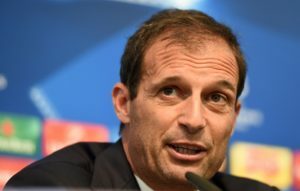 Juventus coach Max Allegri says his side will have to raise their game from the first leg if they are to knock Ajax out of the Champions League tonight. 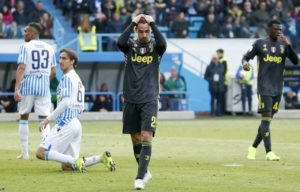 Juventus missed the chance to clinch the Serie A title after SPAL staged a second-half comeback to win 2-1 at the Stadio Paolo Mazza. Juventus are keen to sign Benfica youngster Joao Felix and would reportedly be prepared to let Paulo Dybala leave to finance the move. Massimiliano Allegri says he will rest a number of his first-team stars when Juventus visit SPAL in Serie A on Saturday. 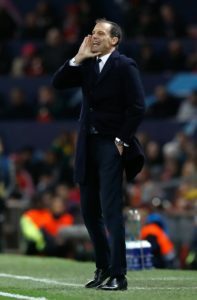 Erik Ten Hag said Ajax are 'still in' their Champions League quarter-final after being held to a 1-1 first leg draw by Juventus. 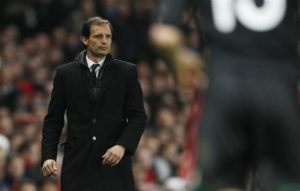 Max Allegri praised Ajax and Frenkie De Jong after seeing his Juventus side battle to a 1-1 draw in Amsterdam. Juventus have been linked with a move for Real Madrid forward James Rodriguez, who looks unlikely to join Bayern Munich permanently. Striker Gonzalo Higuain admits he would like to stay at Chelsea rather than return to Juventus at the end of the season. 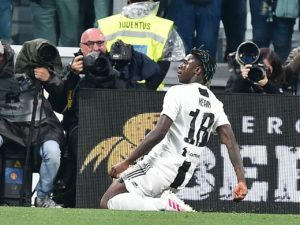 Juventus manager Massimiliano Allegri claims Moise Kean can still 'improve mentally' despite stepping off the bench to score in the 2-1 win against AC Milan. 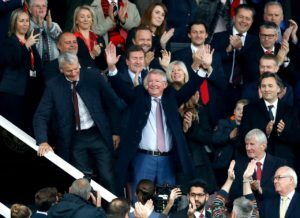 Juventus boss Massimiliano Allegri says he would like to follow the example of Sir Alex Ferguson and bring long-term success to the Old Lady. 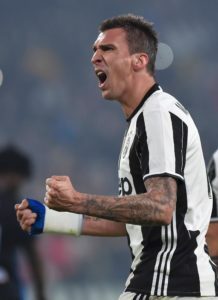 Juventus have tied striker Mario Mandzukic down to a new contract which will keep him at the club until 2021. 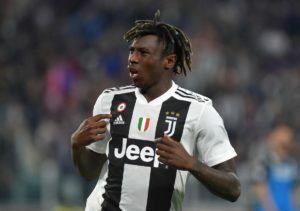 Juventus manager Massimiliano Allegri has called for lifetime bans to be dished out after Moise Kean was racially abused against Cagliari. Juventus boss Massimiliano Allegri is taking nothing for granted when his side go up against Cagliari this evening. 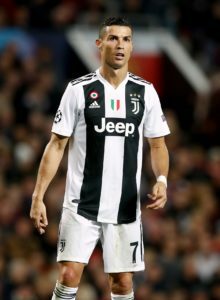 Juventus boss Massimiliano Allegri is confident that Cristiano Ronaldo will be back in time for the Champions League clash with Ajax. Giorgio Chiellini has compared Juventus team-mate Moise Kean to the likes of David Trezeguet and Mario Balotelli. 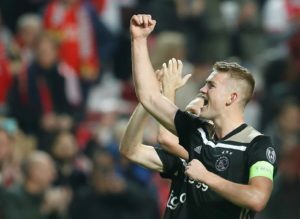 Ajax defender Matthijs de Ligt has admitted he holds Juventus in high regard amid reports he could move to the Italian champions this summer. 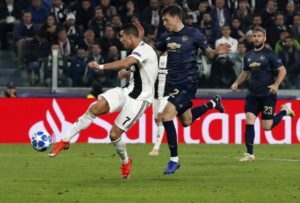 Juventus insist they will not risk Cristiano Ronaldo in the first leg of their Champions League quarter-final with Ajax if he is unfit. 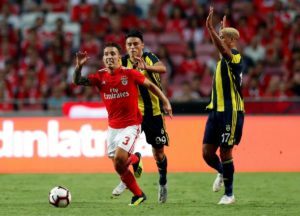 Juventus have set their sights on Benfica defender Alejandro Grimaldo but they face competition for his signature. Cristiano Ronaldo says he is facing a short spell on the sidelines after picking up an injury while playing for Portugal last night.